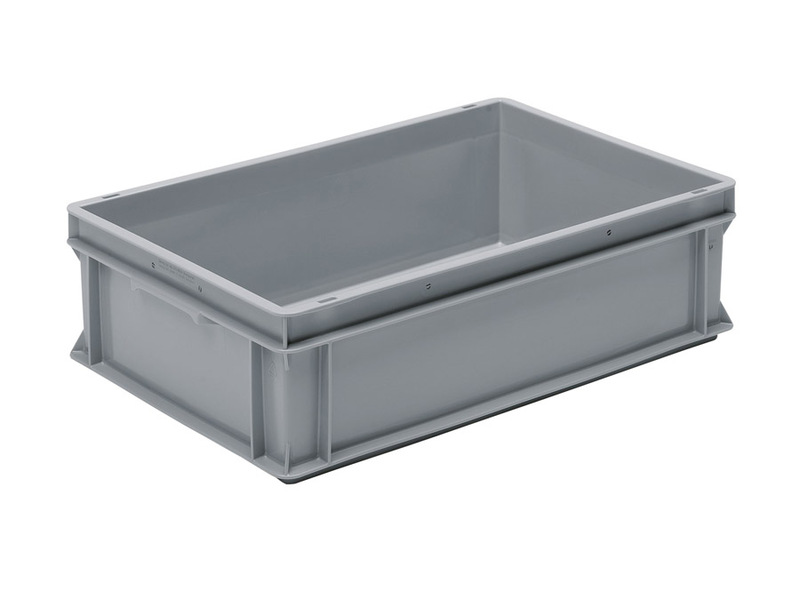 Industrial RAKO 600mm x 400mm Euro Stacking Containers or Euro Distribution Containers produced from impact resistant Polypropylene. Stacking euro containers and plastic euro boxes are designed to build compact and stable loads and have standard dimensions for pallet distribution. Shelving bays are available including the most popular size euro containers.